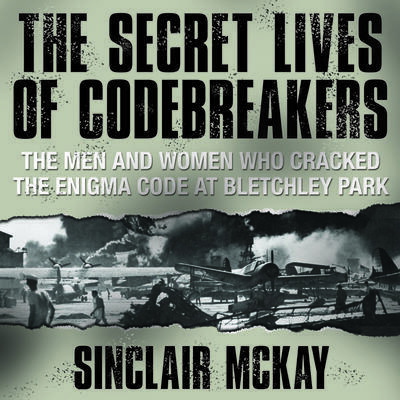 A remarkable look at day-to-day life of the codebreakers whose clandestine efforts helped win World War II Bletchley Park looked like any other sprawling country estate. In reality, however, it was the top-secret headquarters of Britain’s Government Code and Cypher School—and the site where Germany’s legendary Enigma code was finally cracked. There, the nation’s most brilliant mathematical minds—including Alan Turing, whose discoveries at Bletchley would fuel the birth of modern computing—toiled alongside debutantes, factory workers, and students on projects of international importance. Until now, little has been revealed about ordinary life at this extraordinary facility. Drawing on remarkable first-hand interviews, The Secret Lives of Codebreakers reveals the entertainments, pastimes, and furtive romances that helped ease the incredible pressures faced by these covert operatives as they worked to turn the tide of World War II.